The longest day today in the UK and it seemed like the longest week ever until I got down to Mustang Maniac. I turned up in good spirits apart from the cycling event due to take place around the country lanes of Braughing area due to start in a few hours. The reason is cyclist’s complain of not giving them respect on the road, but I am sorry respect is earned not given. I came round a corner and there was three of them side by side down a narrow country lane obviously warming up. As I was sort of expecting something like this I was ready for it some sort of selfish riders which I regularly see on a Saturday morning. The only thing warming up was my blood – almost to boiling point. Did they move over? No, for about 1/2 mile while I was in second gear. When the road widened I expressed my displeasure to them with the window down. Grrrrrrrrr. That is a real pet hate of mine, selfish cyclists. Once I had stopped grinning like a silly school kid we decided on the plan of action, the trunk lock. 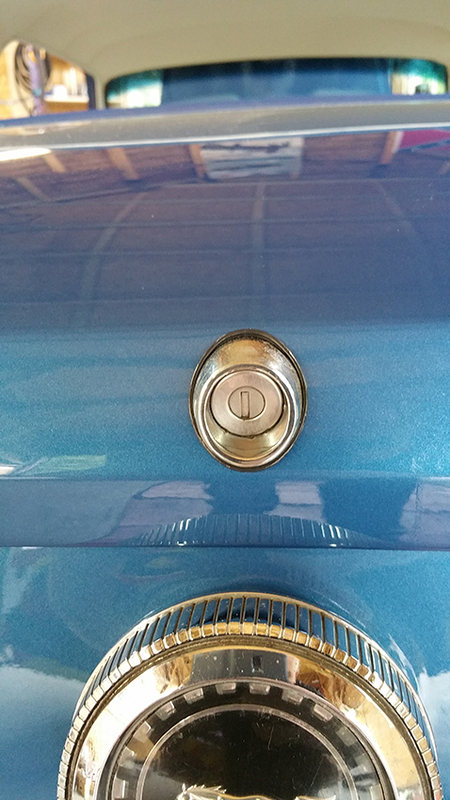 The trunk lock was a relatively short process consisting of the barrel, grommet, sleeve, washer, nut, and the trunk catch. The first step is to fit the grommet to the barrel which can only be fitted one way due to the key way. Then carefully pass the mechanism through the trunk so the key way sits in recess. With the barrel in place make sure the grommet is spaced evenly around the barrel on the paint work. holding the barrel in place there is an inner sleeve that is a tight push over the inner barrel that will hold it all in place. IT goes without saying that the angle of the sleeve matches the inner profile of the trunk and needs to be fitted the correct way up. 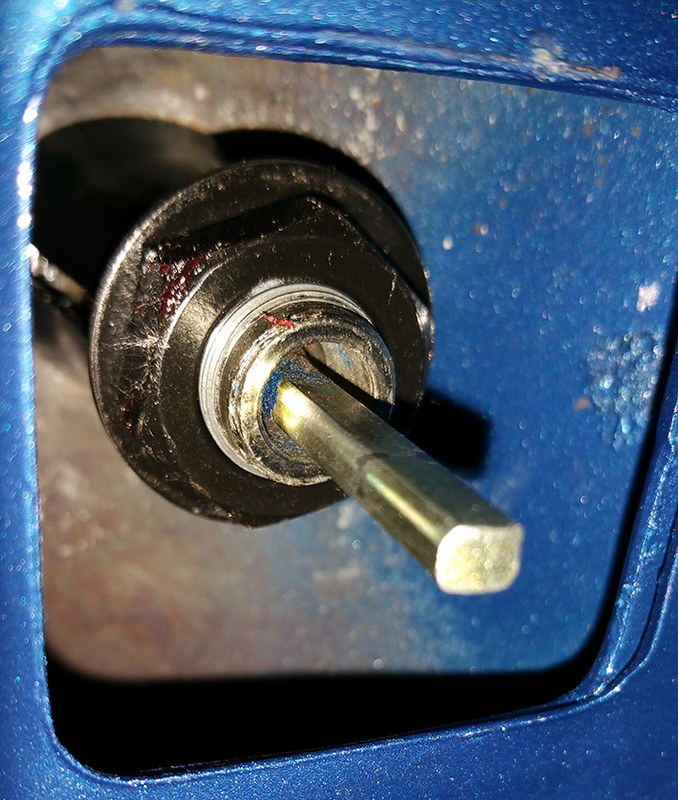 If you are unsure the sleeve gap should line up with the barrel key way at the bottom. Now you can let go of the barrel and add the washer then the nut to the thread of the barrel. You will need a large socket to tighten the nut. Now comes the only tricky part, fitting the catch. 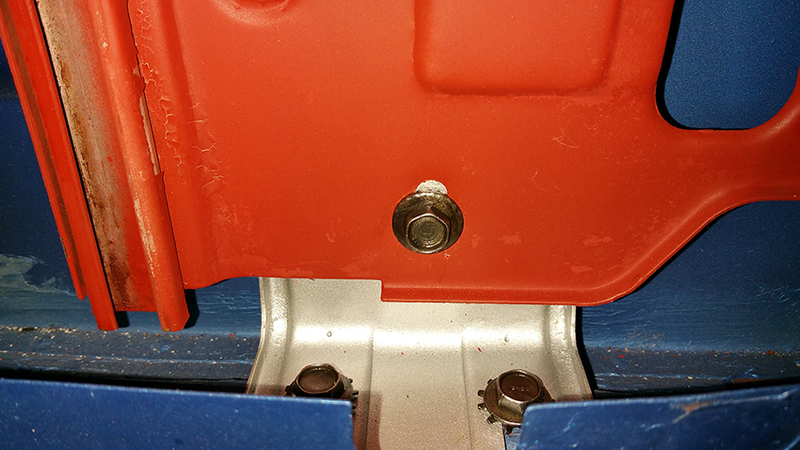 The catch only has two bolts one either side to hold it in place. The catch will need to be aligned up to the barrel bar which is flat on either side. Make sure the latch is over and vertical. I previously sprayed the catch a metallic silver for detail before I started any fitting work. 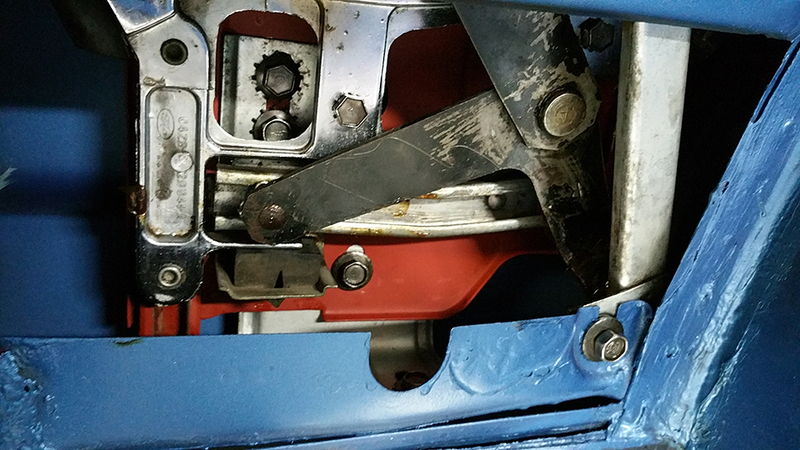 With the catch in place fit the bolts and tighten up. The adjustment is made on the fitting in the trunk. In theory you shouldn’t have to touch it, a simple job that finishes the back of the car. About this point as I was finishing up Adam popped in and said that he was taking Jack on a well deserved trip to the local fun fair. 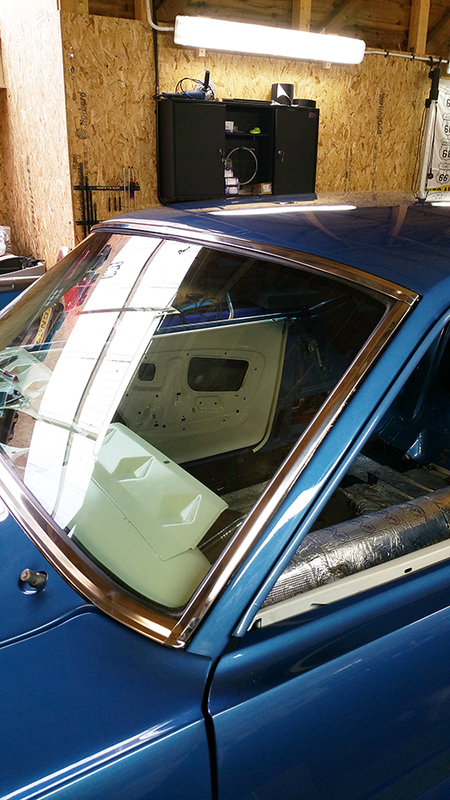 I volunteered myself to start on the rear quarter windows. The only thing Adam advised was don’t do anything up as it will need to be adjusted regardless. I opened up the glass and the main frame that bolts inside the rear quarter. The multi compartment box that I keep my nuts and bolts in from each section suddenly looked daunting. The sides were marked up left side and right side obviously, but dozen bolts and brackets. I checked the fittings of the bolts to the winders and that accounted for four of them. The three larger bolts would hold the frame, that still left loads. After fitting the frame and bracket in place my memory wasn’t good enough refit the rest without a prompt. Hang on a minute I am working in an Aladdin’s cave of cars here. 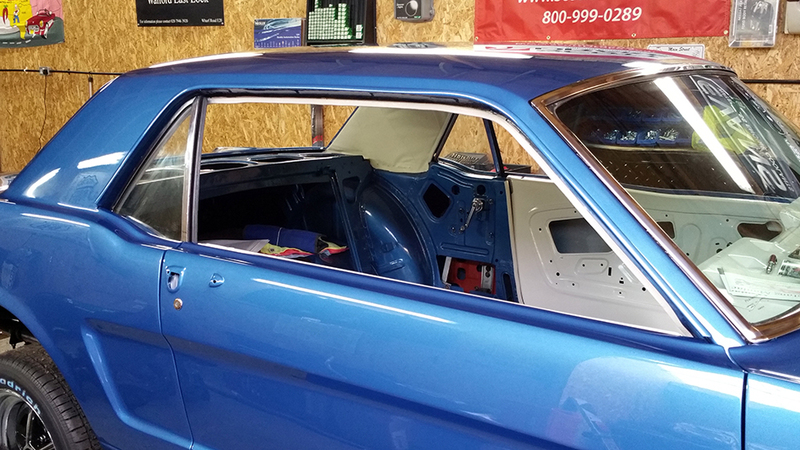 So I took the torch and scouted for a car with the inner quarters exposed with the glass in place. I didn’t have to go far as there was a convertible without the side panel in place. I could get a good view of the parts where they went. The only trouble was, in what order did they go? I fitted all sorts of things to the window fitting itself and tried to slide it into the rails. Nope, it don’t fit. So I had to take the bits of then fit the window and try again. Numerous trips to the convertible later I started to come back to me. Adam as ever seems to have this sixth sense of the Calvary arriving when you need them. He told me the rubbers needed to be replaced and told me to remove the old one. A single screw that allowed the rubber to slide along the edge retainer part of the window. Once refitted we tried the glass and in it popped. Adam then noticed that the runner wheels were the old style and told me they were brittle and need to be replaced. Only two each side so that was not a problem. Except the pins, these had to be pulled out to release the rollers. a good pair of long-nosed pliers sorted that out. I removed the pins from the news ones and Adam started laughing. He told me to put the pin back in. I protested that “the pin…”, he cut me short and just said press it over. The leading edge chamfer of the pin would open the clip and allow it to clip in place at the bottom recess. Two seconds later “click” it was in place. I held my head in shame and laughter. ALL this time I had removed the pins and refitted the pins like a good boy, I didn’t need to. Why doesn’t anybody tell you these things in books? Still we managed to get the windows in and fit the remaining rails pretty pain-free after that. Then it was repeat the other side. By the time we had finished it was about time to go home. I was well chuffed (here’s that word again Debbie!) with the days work. The windows wind up, and windows wind down fine, and all relatively easy considering there was very little grease at this point. The right hand side will need adjustment more than the left side as it’s very close to the bodywork. Once the trims are fitted the window will not move freely. But, for now I have a car with some more glass in it and it looks like a car again and not just a pretty coloured shell. This entry was posted in Car, General, Photo's and tagged cyclists, glass, grease, Mustang, Mustang Maniac, One man and his Mustang, shell, trim, trunk lock, windscreen. Bookmark the permalink. Reblogged this on Voices From The Garage. I have so much to say. First, I must remind you to give wifey a kiss for the original gift!. Second, the details in the pictures are wonderful. Third, you’ve prompted me to think that there might be a book to be written (by you) about this whole process. You have everything in chronological order already. And finally, “pretty colored shell”? More like a finely shined gem! Proud of you Mart!! Thank you very much Debbie. Kind words indeed. If I was to create a book, I am not sure it would sell very well, quite a niche market. There are self publish site on the net I have looked at before a while ago and look reasonable for a totally bespoke book. Maybe a limited number run. I would love a book of it to be honest just to sit with the car at a show. Who knows? Lol, yep well chuffed with it so far. The ks for the comment though. Looking back at the pictures I edited before uploading them, I should have cleaned the grease of the chrome and the glass. Still the main thing is that they (being the glass quarters) are in.